Jobs Minister Hon. 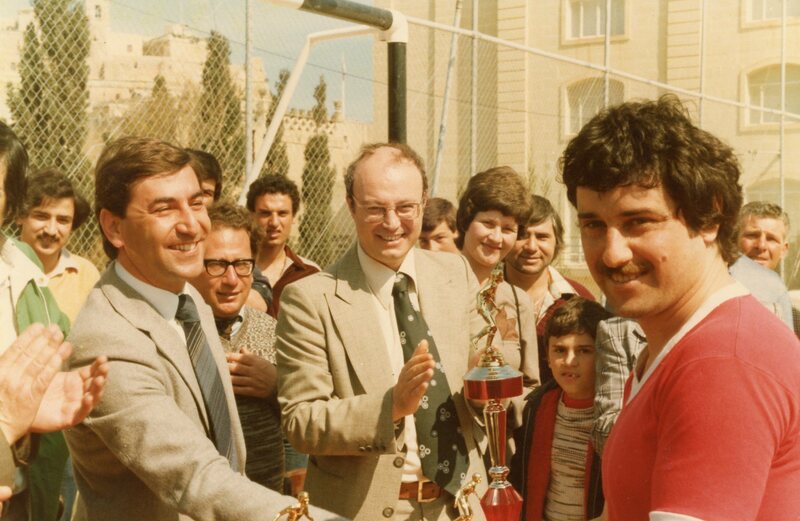 Karmenu Vella presenting Anton Sillato with the trophy for winning the Final match of the newly inaugurated football ground Leli Farrugia tournament played on 11.04.1982. Amongst others, there is also Hon. 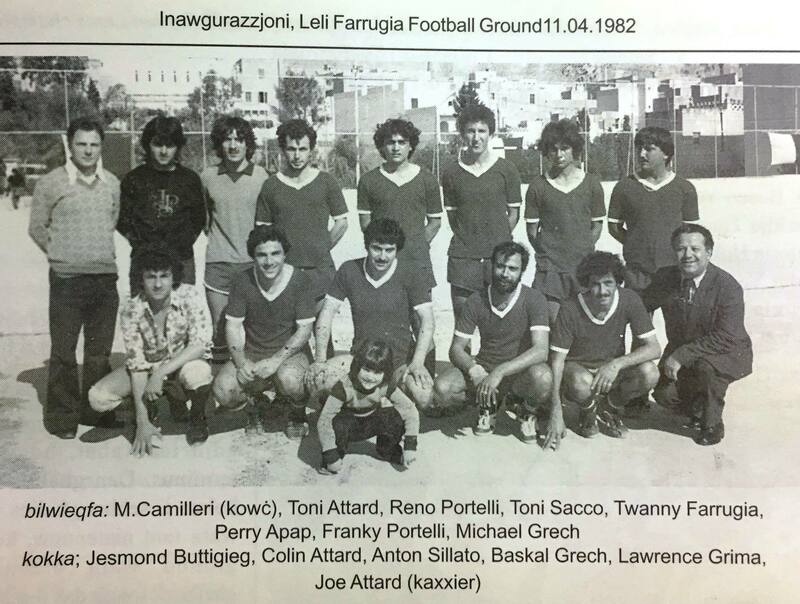 Lino Debono MP in the picture.